Run with over 500 songs and your heart rate on your wrist with the TomTom Runner 3 Cardio + Music. 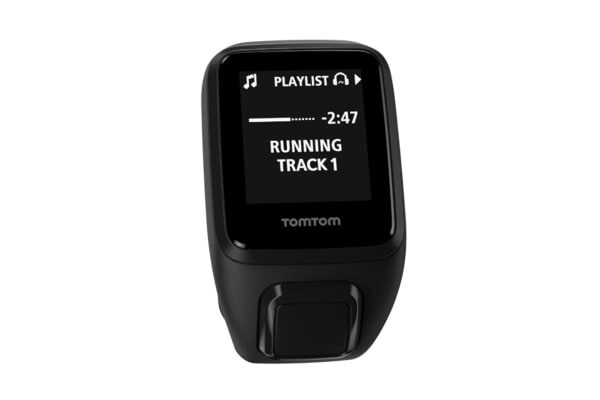 The TomTom Runner 3 Cardio + Music is more than just an activity tracker. 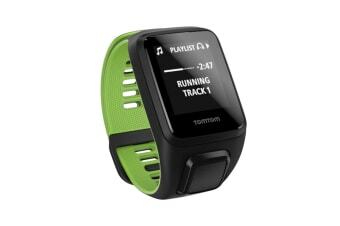 It captures your heart rate, steps, active minutes and calories burned throughout the day and lets you share your success with friends online. Compact yet powerful, the Runner 3 is ultra-slim and ultra-lightweight. You won’t know you are wearing it, until you have a look at your wrist. And with the single touch of a button, you can easily navigate through the menus. It is that simple! See your heart rate on your wrist with the built-in heart rate monitor without the need for a chest strap. And with 5 heart rate training zones, you can train in different zones to get results faster. The Runner 3 is simply as smart as you! It can track all your sports. Be it running, biking, swimming, tread milling and more. And with all this data on your wrist, you can track your performance and improve your speed and fitness with ease. Cycling in a new route? No worries! With the Runner 3, you can explore new routes and find your way back to the start. The built-in GPS tracks time, distance, speed, pace, routes and much more on the go without consuming much power. You can get up to 11 hours of battery lifetime even when tracking yourself with GPS. Having a sound sleep every day? The Runner 3 can find out. It is designed to automatically track your sleep patterns, so you easily get to know whether you are getting the sleep you need or sleep deprived.